aka "SILVER BUG" and "project Y-2"
There are no photos of it flying. Or should I say; not yet? 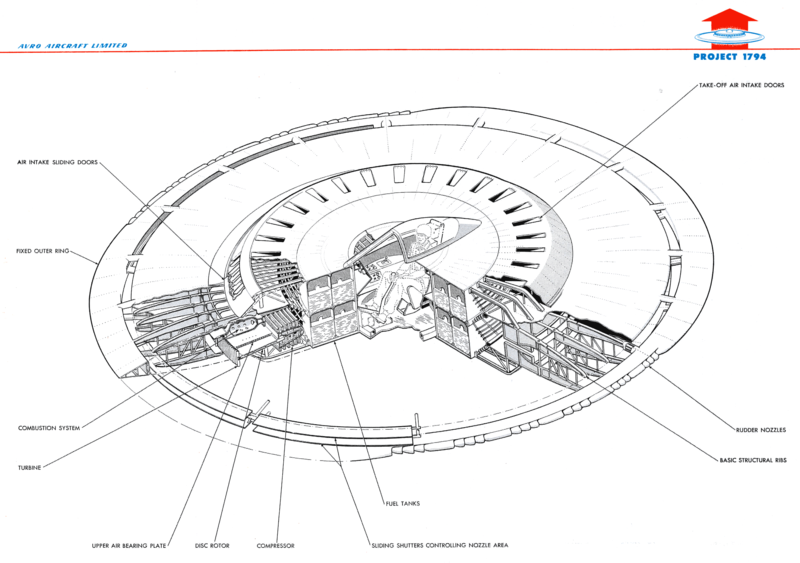 Click here to get the coolest technical drawing (below here) in very high quality. No no no. These are not photos of it flying. Why think that? They didn't make a full scale flying version. 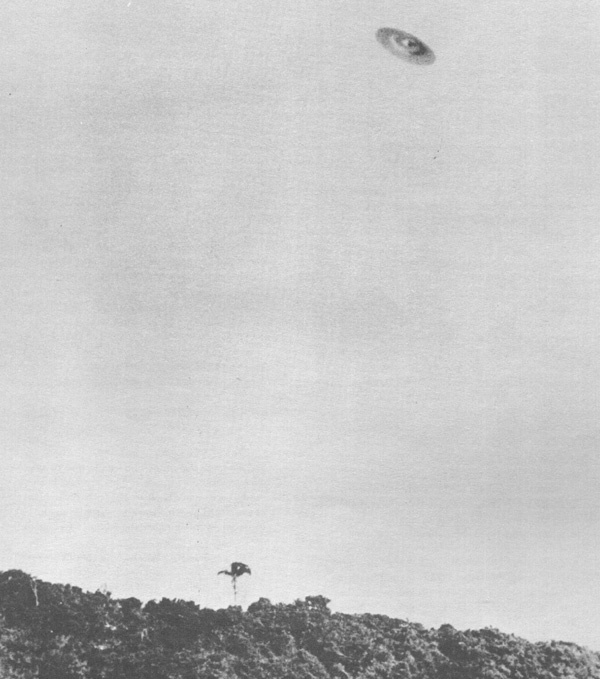 This photo is of an UFO, in Barra da Tijuca, Brazil, 1952. That would actually a bit early, considering the avrocar start date of around 1952. Project 1794 Final Development Summary Report, 06/1956. Program Planning Report, Project 1794 Extension Program, 04/1957. The complete Silver bug report can also be downloaded as a PDF, here. 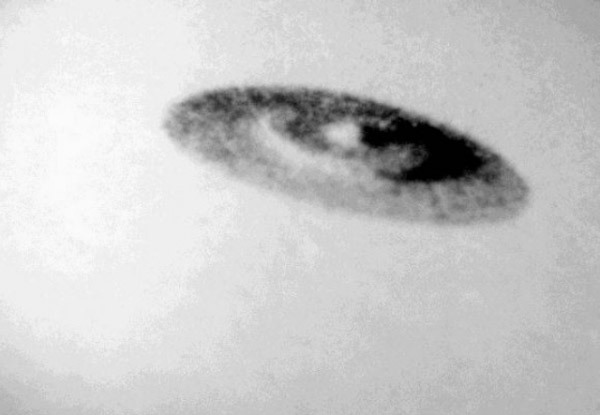 The images are scanned to bright.. I don't have the originals, so I can't improve the image quality. "On October 25, 1955, US Air Force secretary Donald Quarles held a press conference in the Pentagon at which he released information on Avro Canada's USAF-funded project to build a supersonic, vertical takeoff and landing (VTOL) saucer-shaped aircraft. Known within the Air Force by its contract number, MX-1794, and by code names such as "Silver Bug," the craft had been under development in Toronto for about two years." The six-engine viper test rig, not only a paper design, it's real! 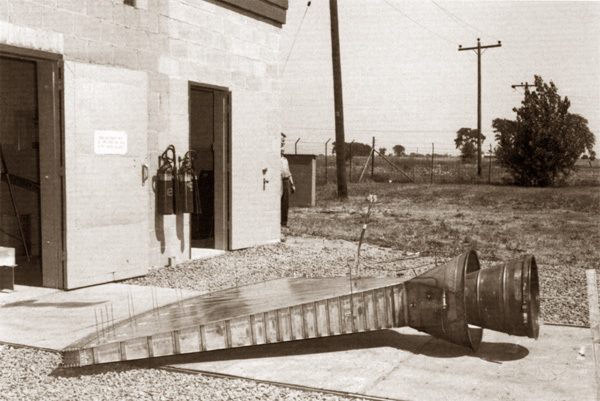 The engine rig was designed to use up to six small Armstrong Siddeley Viper 8 turbojets to drive the giant impellers. 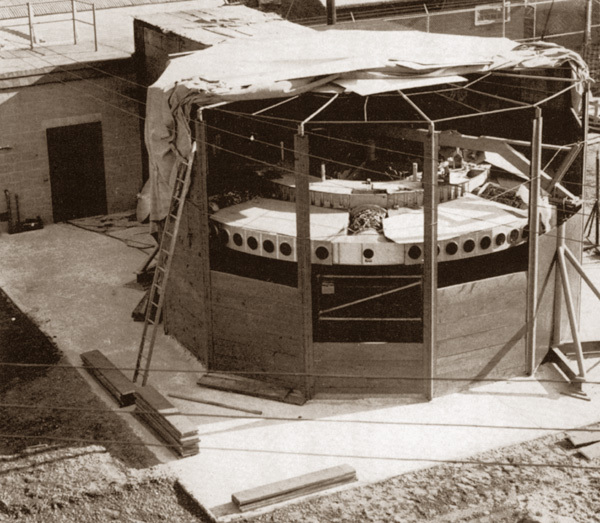 The "six-Viper test rig" was a self-contained enclosed outdoor stand which consisted of the central section of the saucer vehicle, a control room, fuel supply and exhaust ducting.